A White Christmas in the Ozarks still on the table! As I’ve been watching the computer models this week, a new possibility for snow has overshadowed the original possibility. A shield of rain will be spread north out of Arkansas late Friday. Because of the arrival of some colder air and because this will occur at night and on early Saturday, snow is possible on the northern end of the rain. Accumulations will probably stay under one inch although a few inches are possible in some locations. With a warm ground, not much of this will stick or stick around for long. But perhaps some will remain for Christmas Eve. 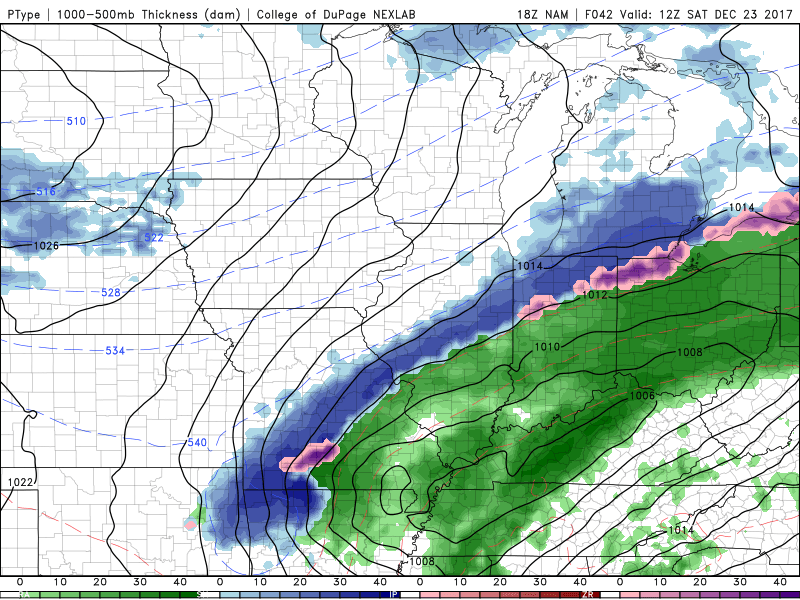 A small band of light snow will drift over Missouri on Sunday too. This has always been a glorified dusting and its position has moved anywhere from northern Missouri to northern Arkansas as each model run has come out this week. So chances are there! Statistically, it’s a long shot most of the time so I’ll personally hold on to any chance!